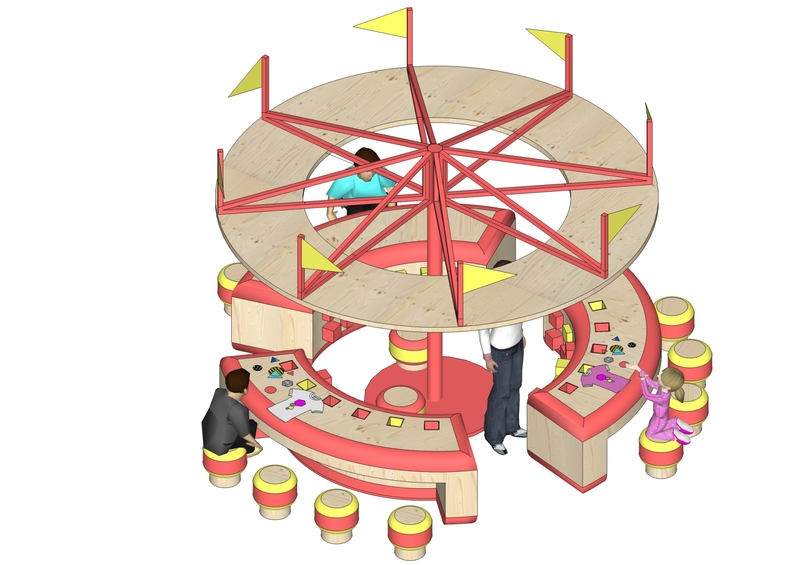 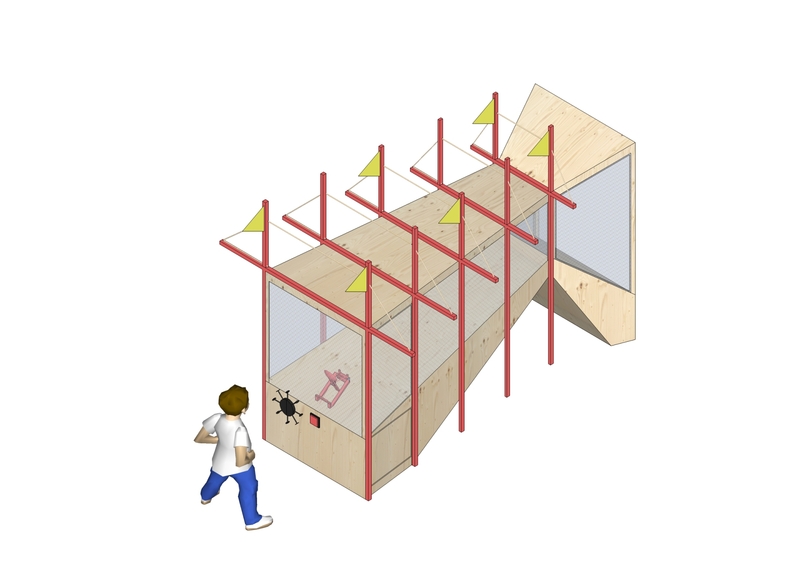 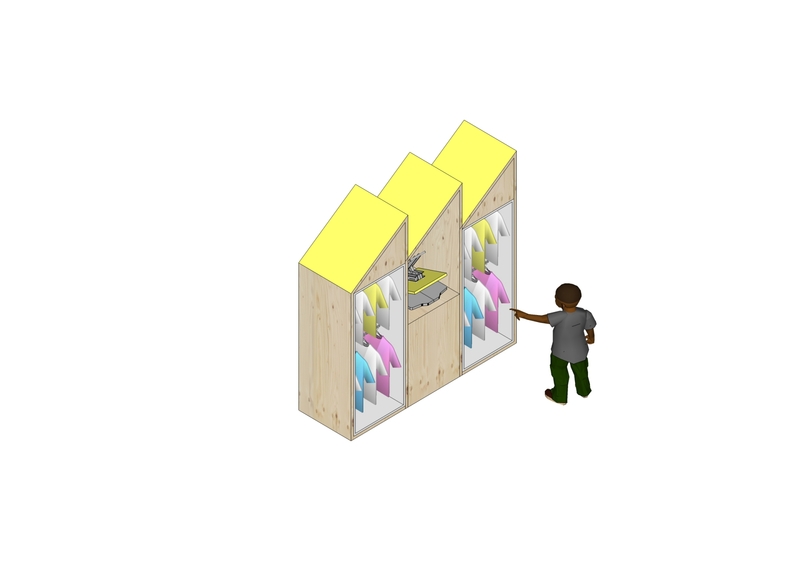 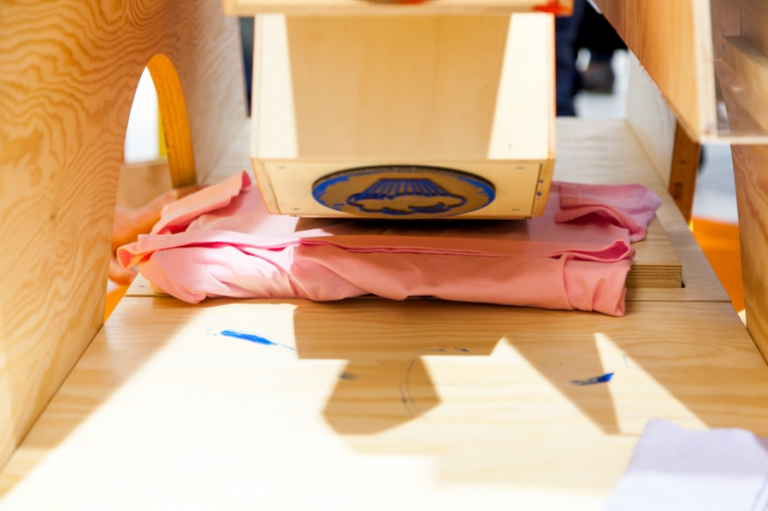 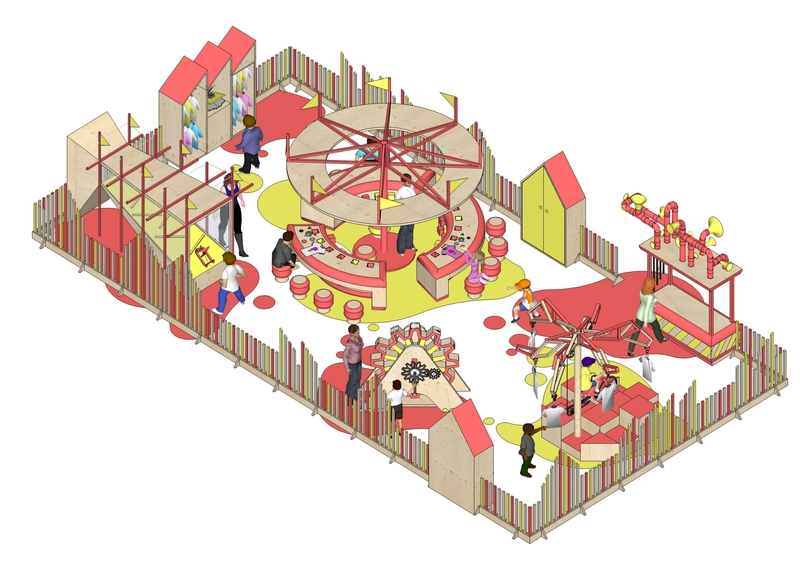 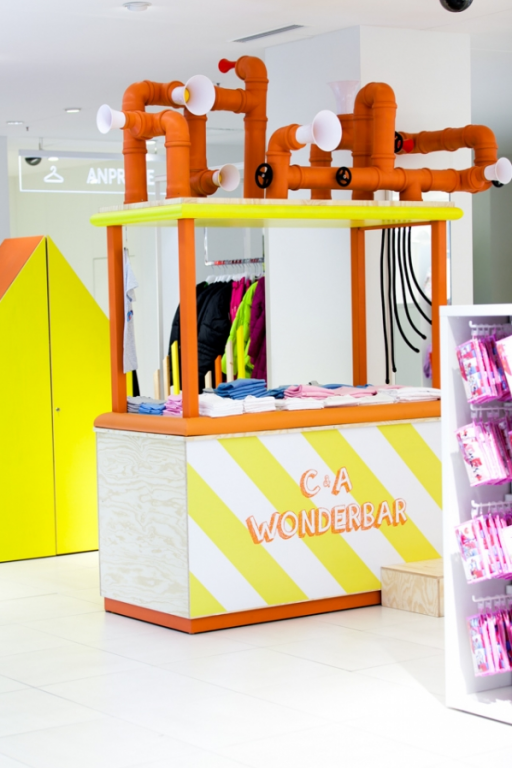 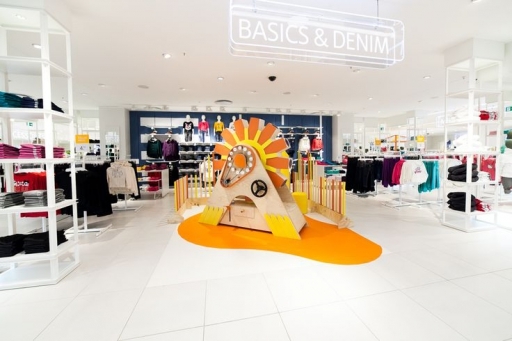 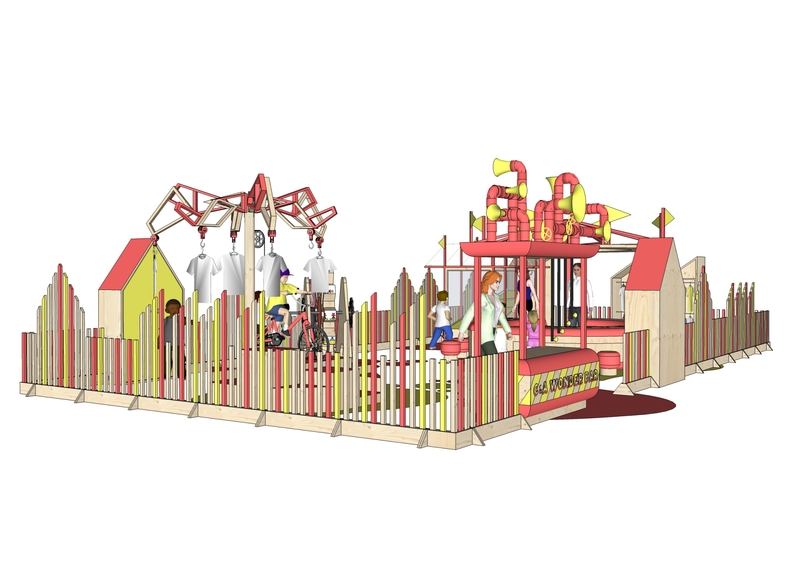 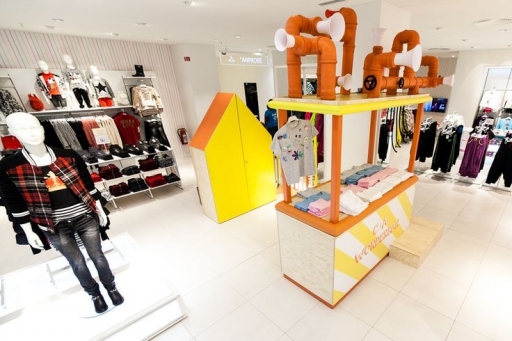 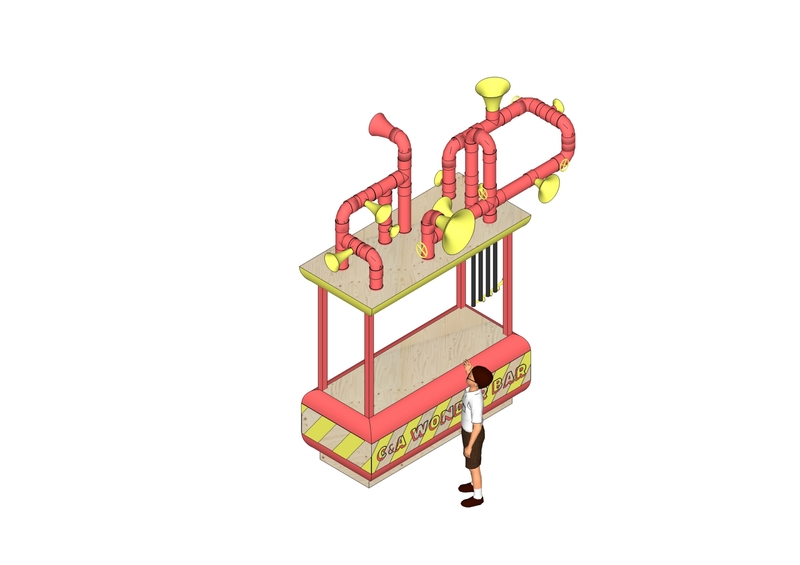 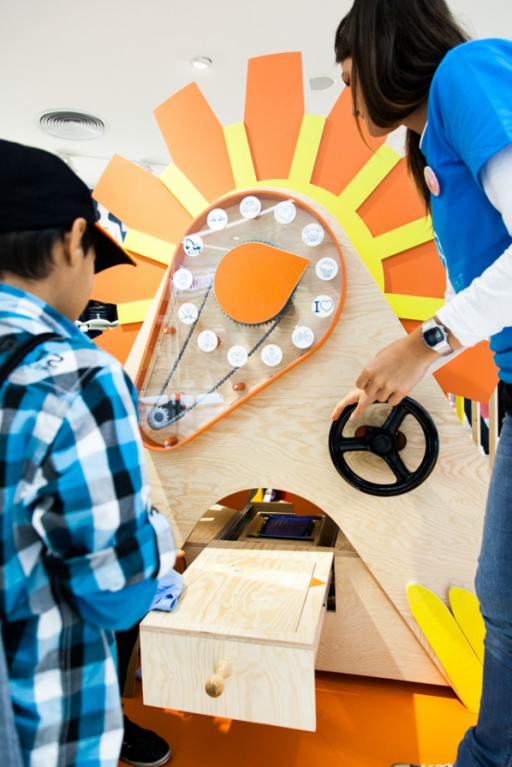 C&A worked with rocknrollarchitecture and Re-Make/Re-Model to create a travelling t-shirt factory for kids.The factory consisted of several different stations where the visiting children were given the opportunity to design and create their own t-shirts. 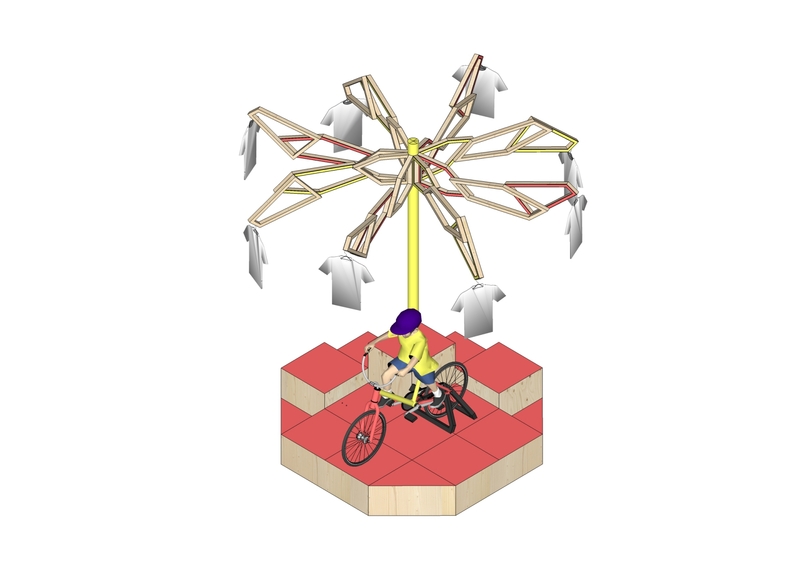 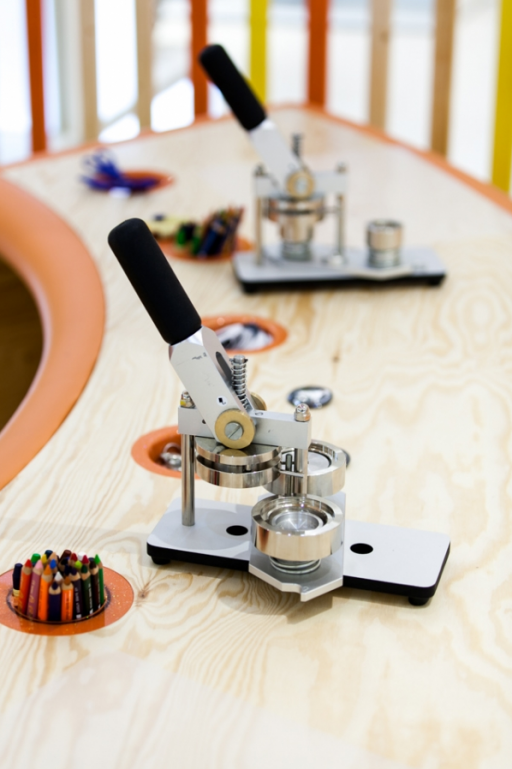 There is a sling-shot machine for shooting paint on your t-shirt; a bicycle powered t-shirt drying station; a tinker table for drawing and adding glitter and other decorations to your shirt and a huge turning stamp wheel. 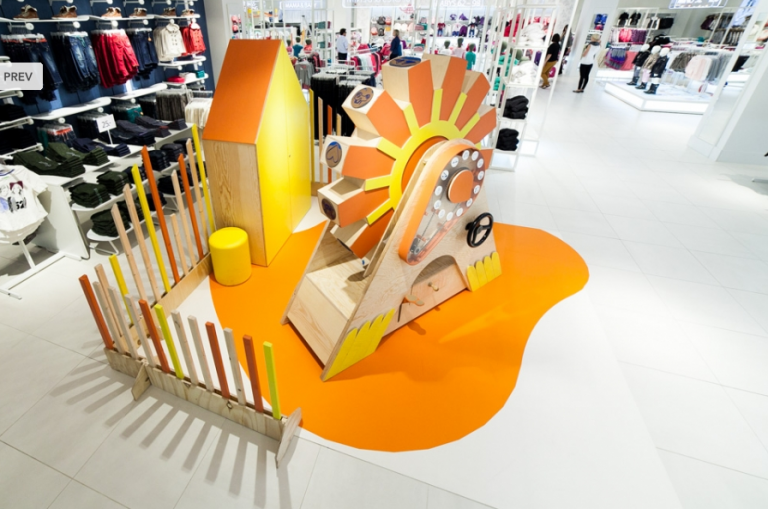 The project was developed and produced for C&A to the opening of their new flagship store in Düsseldorf in the autumn of 2013.